NeXgen has rebranded its organization as NXN - following the evolution of the business from a leading consulting services firm to a fully-fledged digital services provider. 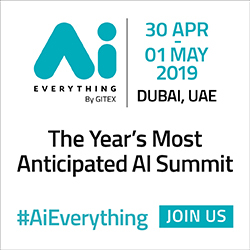 It has combined its expertise in Smart City consulting and knowledge of the GCC region to become the leading digital services provider in the Middle East. 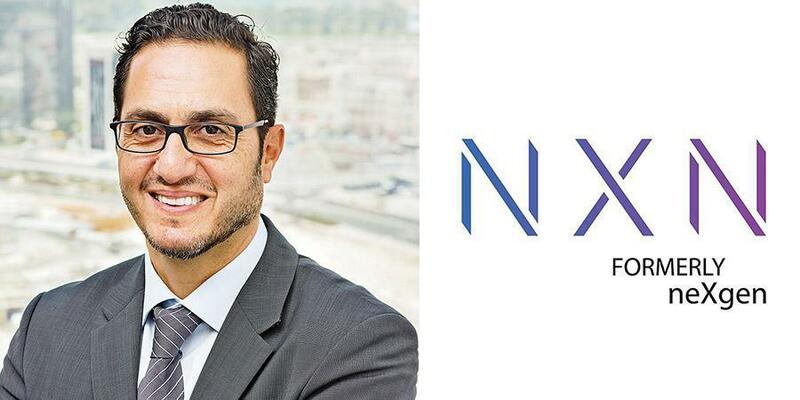 Telecom Review spoke to charismatic NXN CEO, Ghazi Atallah, to discuss in more details the thought process behind the rebranding, its role in smart cities and the digital transformation services it provides for its customers. Can you tell us about your experience in the smart city realm, your passion for smart technology and how NeXgen came about? Well, the passion in relation to technology has always been there. Technology is something I've enjoyed since I was young, and it has always fascinated me. But then in my professional life, the issue became how to use technology to address some of the core business, customer and city issues that were present in the sector, so that's how my passion around technology started, has subsequently continued and is still there. NeXgen, which has now been rebranded to NXN, came about around ten years ago as an entity that firmly believed that there was a huge gap in the market in terms of expertise. We are confident that we have a team that on one hand knew what they were doing, and on the other hand, actually cared about the region and understood the region so well that we could make a difference. So, that's simply how NeXgen came about. We knew there was an opportunity with smart cities, and we knew that with technology advancing at a spectacular rate, the technology would be able to impact cities in the way that cities conduct business and the way that real estate developers do business. So, we identified this as a great opportunity, and we wanted to build an organization that had brilliant expertise, but also understood the region and cared passionately for the region. What was the inspiration and process behind NeXgen's rebranding as NXN? The rebranding and new identity came about as a result of the way we extended ourselves and we grew as a company. We extended our capabilities and we essentially evolved from being a consulting organization, which is how we started, to becoming a fully-fledged digital service provider, which is what we are today. So, we took the consulting expertise and the knowledge, and then extended that into being able to deliver digital services to our customers. So, basically now we're a turnkey digital service provider, but we wanted to actually share that with our customers and explain to them the thought process behind our new brand and identity. As a smart city and digital transformation service provider, how is NXN working towards helping companies to achieve digital transformation? We do two things with our customers primarily. Firstly, we help them plan their transformation so when you're transforming, especially around digital, we firmly believe that you have to have a well-defined plan, digital transformation plan. Secondly, we then utilize our consulting expertise to help them plan the transformation. Normally, we establish a five-year transformation plan with specific objectives and specific initiatives which outline what you want to attain in year one and year two and so on; basically, a clear roadmap. We also engage in delivering on those initiatives, delivering on those roadmap initiatives with our customers through our Smart City as a Service digital platform. We help them plan and then we help them execute on their digital transformation through things like our capabilities around data, analytics, blockchain technology and AI, which represent some of the key technologies that we've built into our platform that allows us to deliver those digital services for our customers. Can you tell us about NXN's role as a digital partner and why do you believe it is so important? And can you also provide us with some insight into the potential cost savings? As a digital service provider, one of things we provide our customers with is trust. Every customer wants to engage with a provider that they trust, and that can take them through the journey from planning to execution. So, this is something that we do very well and it's something we've done very well over the last 10 years. We've established that partnership and that trust relationship with our customers and made sure that we addressed the right issues for them and we actually engage in solving those issues for them. We've also consistently delivered for them. As a digital service provider, what we do is engage with customers on specific areas such as energy, security or operational efficiency because this, at the end of the day, is what you want to deliver. There has to be some kind of business objective; you want to deliver a clear outcome and that's what our fundamental plans are built around. What is the outcome that you want to achieve? Once that is established, you start delivering on the initiatives to deliver the outcome. In relation to savings, we can talk about energy. For example, we can deliver savings of anywhere between 20-35% of energy efficiency to our customers, and that's substantial in today's climate. When we talk about operational efficiency, we deliver about 15-20% operational efficiency over whatever you have, and I'm quoting, I would say not conservative figures, but not aggressive either. I'm quoting very realistic numbers. So these are some of the business outcomes that our customers can definitely enjoy. And when you talk about cities, in a city-wide type initiative, there are so many potential opportunities for realizing benefits, including of course energy and operational efficiency. What are the benefits of a city or a company recruiting NXN to be its digital partner, and can you elaborate on the term reduced time-to-service which you have often spoken about? I think one of the most important benefits is enhanced customer experience. This is something that digital brings to the table. And as a government, real estate developer, agency or as a department, once you have this capability as a digital entity you're now dealing with your customers in a very different way. You're actually understanding what the customers' needs are; you're understanding how to deliver this service, when to deliver this service, the right way of delivering the service. So, the customer experience is so much better. We work a lot on enhancing customer experience, but that doesn't necessarily have a direct number related to it. So, you can't say because I enhance customer experience I've increased revenue by 10%. It's very hard to do that, but our numbers and our experience say that you actually increase revenue dramatically when you enhance customer experience. And at the same time you're creating a very efficient organization by reducing operational expenditures and other aspects also kick in. In relation to reduced time-to-service, in the digital age, and especially where we are today, the way we're addressing the problems is actually something that allows us to bring to our customers the ability to start from point A to point B in timescales that are very different from the past. So, if you're talking about time-to-market or time-to-service, as a customer I have an idea, I have an opportunity. I've got a customer enhancement idea that I want to bring to market; it used to take you 12, 18 maybe even 24 months to do something when you talked about technology. Because of our investment in a platform and our investment in capabilities that our customers would need such as big data, analytics, security - the whole packet of a digital platform, we went ahead and invested in and implemented this platform across the GCC union. That takes away 80% of customer's efforts in terms of implementing a service, so what's left of that 20%, we can do in the space of 2-3 months. As a customer, you're up and running; you have a service implemented after two to three months versus a technology project that usually took 18 months to implement. How are you helping companies attain their business objectives so that they can match it with their digital capabilities? We started off with a fixed set of services that we went to market with, like operational efficiency, energy efficiency, smart energy, smart cities and smart security. We packaged those services and we went to market. But that wasn't enough. Our customers were saying this is very good, thank you very much, but we'd actually like you to come and start building additional bespoke services for us. And because the platform is ready and because the development capability is there we can still deliver in two to three months with a tailored service to our customer. In one of the cases, a government entity came to us and said, we actually want to improve our customer experience, and we have a few areas which are very specific in the way we want to improve customer experience and deliver something to the citizens and residents of a particular city. They said we would like you to develop that on your platform, we will provide you with the data and we will work with you in terms of orchestrating the data and deliver that on your platform to our residents and citizens, and it took us two months to complete this. We have a set of pre-packaged services, but now we also have a very strong offering of tailored services again leveraging the same scenario, same platform and same capability, where we bring our customers data, we amalgamate, orchestrate and organize that and then we use it to deliver a custom made service. Why is it so important for businesses to define their digital transformation goals before undertaking a transformation project? We were talking about this in one of the conferences recently, and there was a debate over who should own digital transformation. Is it the CEO, CTO or CIO and so on, but I do believe, and this is a firm belief, we have as an organization is that you should have digital transformation goals or business goals. What you should have is digital transformation goals that are totally tied to your company's business goals. Digital transformation is to enable your company to achieve specific goals. So, if as a company you have an objective to say I want to extend my services to three geographies, that's a company goal. If as a company you say I want to reduce my operational expenditure by x amount and I want to improve revenue, those are company goals. But what digital transformation will enable you to do is actually deliver on those goals and it will maybe even allow you to deliver them faster. Digital transformation strategy and a set of goals within digital transformation need to be totally aligned to your company objectives and can't be separate or different - you don't have a company strategy and a digital strategy because it doesn't make any sense. Digital is there to actually allow you to deliver on your corporate goals and your corporate objectives or whatever they may be. As a city you've got certain objectives, these are the city objectives that you want, you want economic goals, you have development goals and so on. Digital or smart city plans need to be tied into those to be able to deliver on those. One of the things that we've seen is that digital ideas in smart city initiatives in some cases actually bring in new opportunities, so they become part of the cities objectives. In your experience, have you witnessed organizations making the mistake of having a separate digital strategy to its overall company objectives? Yes, absolutely. Companies have made that mistake and unfortunately in our industry some of our consulting and IT organizations and vendors are so focused on working with companies on digital transformation, digital objectives and so on. They're pushing that idea of saying this is your digital strategy. Yes, it is a digital strategy, but it's working almost in parallel with your company strategy. But that can't be. They have to be intertwined. They must be totally synchronized. They must be working together. But we've seen that mistake in quite a few organizations. Primarily, because in our industry we love to create a 'buzz'; we love to create hype, and now digital transformation is the hype. Our job is to actually simplify that towards our customers and align that with our customers' objectives and not create a shift towards a kind of vacuum in-between. Can you tell us about some of the smart city projects NXN has been working on recently? We're quite fortunate to be working on some of the leading smart city opportunities and projects in the region, and one of them is, of course, the government of Dubai with Smart Dubai. 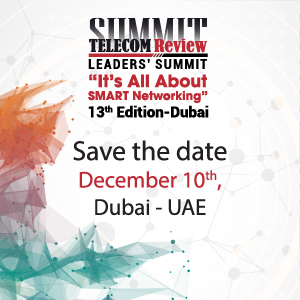 We've been partners to Smart Dubai for the last three years, right from the inception of the idea. It was just an idea when we started to initially engage with Smart Dubai, but then we formulated the transformation plans, the smart city masterplan with them all the way to the execution of the masterplan. It's a partnership. We're not their consultants and providers only; it truly is a partnership, and these are the words from the customers, not ours. One of the reasons why they decided to work with us in the beginning and decided to continue to work with us is primarily really down to firstly a trust relationship, and more importantly, there is a care from our side towards actually delivering something that is meaningful. These are easy things to say, but they're not at all easy to execute. We really care. We have a DNA within the organization. We have a DNA as a company that is about innovation, of course, but it's also about understanding and being experts in the region. And last but not least, it's about caring about the outcome of our work. You could be the best experts, you could have interesting innovation and innovative ideas, but you have to care about the outcome and about achieving something that is meaningful. So, we're focused on actually delivering an improved experience in the city, or delivering operational efficiency, or working with certain government entities, or working with certain departments to actually enhance the way they do business which in turn will make the city or the country better. What are the challenges that NXN faces right now as a digital service provider and smart city consultant? There are quite a few challenges, frankly. There is a certain challenge in the market economically. There's of course a plethora of technology and vendors coming and pitching their ideas. Our job continues to be about a few things, which is to simplify this to our customers as much as possible. And what we decided to do recently to offset the economic challenges that we see today and what we think this is going to be an opportunity for us is go to market with a services delivery model that allows us to work with our customers on an OpEx or subscription model. As we go to deliver a service, we're not going to our customers and saying here's the cost of hardware, here's the cost of software, this is the cost for implementation timeframe, and here's the cost of our professional services and this will amount to x amount. No, what we're doing is now delivering a service on a subscription basis, so our customers actually pay us a certain amount every month for that service to be built, implemented and operated on. It's essentially as simple as a subscribing to a mobile plan. You subscribe to that service and we work with you over a period of time, and we have a subscription type commercial agreement with our customers, so that allows them to reduce cost on hardware and software. We've invested in this on their behalf and they pay us a monthly fee that allows them to enjoy the service and allows us to deliver the service of course and allows to build a long term relationship with our customers.